We are a leading Manufacturer of continued reciprocating air compressors, reciprocating 2 air compressors and reciprocating air compressors from New Delhi, India. assemble the compressor unit from the tank. 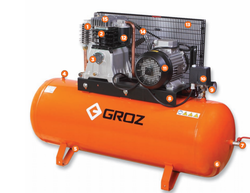 Our vast industrial excellence has enabled us to manufacture highly reliable Reciprocating Air Compressors. The offered air compressors feature industry proven design and optimum performance which make it highly demanded for its lowered life cycle operating cost. Developed using premium grade aluminum alloy the offered compressors are compact and resist wear and tear conditions. 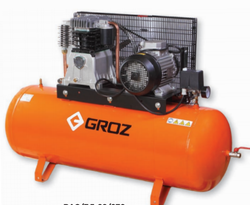 Furthermore, the offered air compressors are available in different sizes and capacities that can be ordered from us at the best price in the industry.